Medek stands for a Dynamic Method of Kinetic Stimulation. 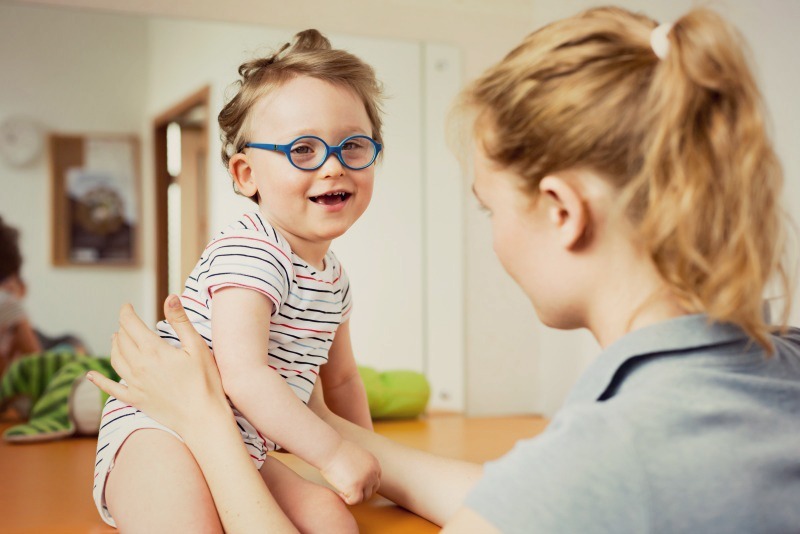 It is a physiotherapy method used to develop gross motor skills in babies and children with movement disorders due to neurological dysfunctions. Medek was developed by a Chilean physiotherapist, Ramon Cuevas, between 1971 and 1976, in cooperation with another physiotherapist, Ester Fink. It was Ester Fink who introduced this innovative method to the North America, where it was applied to a little girl with cerebral palsy, spastic quadriplegia. The therapy turned out to be a huge success, and Medek was introduced to a clinic run by Ester Fink in Canada and Zaerinu Educational Centre - a private school for children with special needs. The MEDEK therapy is based on gravity, which is considered the main stimulus activating the neuromuscular system. The principles of MEDEK are such that the gravity requires us to activate our postural systems or pull up while the gravity is constantly pushing us down, and at the same time to stabilize our bodies in space in order to move and manipulate objects. The focus of MEDEK therapy is not modification of muscular tone, primitive reflexes or abnormal patterns of movement. Abnormal movements are used by the therapist to evaluate the maturity of the child's central nervous system and are considered to be in line with the development of functional motor skills. MEDEK focuses primarily on exercising the movements necessary for sitting, standing, and walking. The particular muscle groups are exercised through postural and functional tasks, never in isolation. Muscles that are too tight are being stretched in a dynamic way. Neither does MEDEK use any of the sequences of normal motor development. It does, however, recognize that different skills require different movement strategies. Unlike many other therapies, MEDEK does not require the child to concentrate on the task or even to cooperate with the therapist. We believe that even though motivation can increase the correctness of exercises, this effect is usually temporary and does not guarantee a permanent change. The therapist's role is to provoke automatic postural responses of the postural control system that are necessary for functional tasks. We use different exercises, each has a name and a detailed description and is applied to provoke specific responses. The therapist sets the goal of the therapy and determines the way of provoking the desired response. 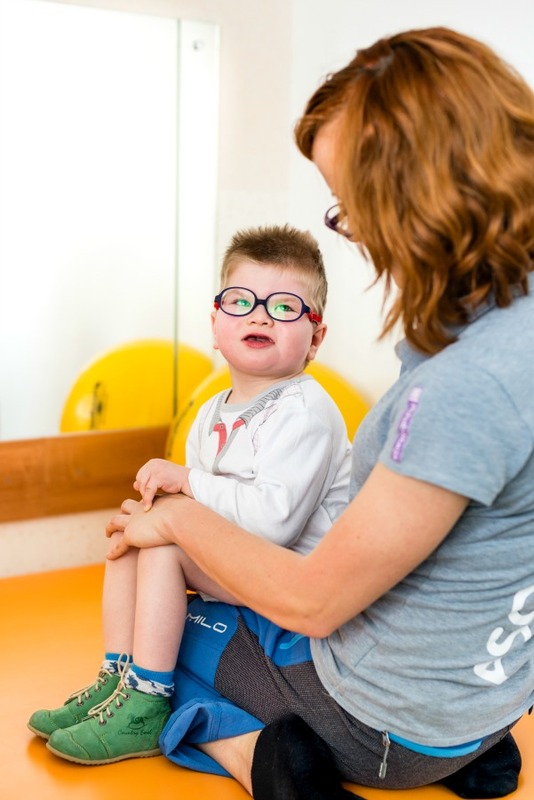 We use a special therapy table, but as soon as the child starts to take his/her first steps with the help of the therapist, who stabilizes the child at the ankles only, we move from the table to the floor where we use special equipment. It consists of seven wooden elements that can be freely arranged. Medek is not only a set of specific tasks/exercises, but it is also a system of evaluating therapeutic progress. Therefore, a special evaluation protocol has been created, which consists of 46 points, including postural and functional tasks, and refers to the child's motor development, from newborn to 16 months of age. The most effective way of applying Medek therapy takes place during rehabilitation camps. They usually last from 1 to 2 weeks and the duration is determined individually depending on the level of the child's dysfunction. To learn more about our rehabilitation camps, click here. MEDEK assumes a close therapist-parent/caregiver cooperation. Each parent/caregiver receives an individual programme of homework exercises to be executed twice a day. That is because Medek assumes that learning or acquiring skills requires practice. A close cooperation between the therapist and parents/caregivers, their commitment as well as patient and strict adherence to therapist’s guidelines guarantees spectacular effects in a short period of time.